Son Fancher died on 30 November 1839.1 He was born on 30 November 1839.1 He was the son of Martin Fancher and Frances Roxy Allen. Virgil O. Holcombe was born on 8 March 1866 or 9 March 1866 at Trumbull Co., OH. He was the son of Charles R. Holcombe and Juia R. Wilbur. Frank G. Holcombe was born on 12 May 1863. He was the son of Charles R. Holcombe and Juia R. Wilbur. Frank G. Holcombe died September 25,1868 at Trumbull Co., OH. Levi Rice was born circa 1829. He was the son of Jacob Rice and Wealthy Ann Clark. John Owen Rice was born circa 1832. He was the son of Jacob Rice and Wealthy Ann Clark. Ralsa Clark Rice was the son of Jacob Rice and Wealthy Ann Clark. Additional information on Ralsa was provided by Leslie Albin, AlbinEdits@aol.com, via e-mail on September 18, 1999. Military service and pension records for the individual named, National Archives and Records Administration, Washington, D.C., examined Aug./Sept. 1999. Personal visit to the grave site or other location discussed, Sept. 1999. Ralsa Clark Rice married Adaline A. Beach, daughter of Miles Beach, on 2 July 1857 at Trumbull Co., OH. Ralsa Clark Rice died on 14 November 1911 at Warren, Trumbull Co., OH. Adaline A. Beach was born on 25 March 1833 at Vernon, Trumbull Co., OH. She was the daughter of Miles Beach. Adaline A. Beach married Ralsa Clark Rice, son of Jacob Rice and Wealthy Ann Clark, on 2 July 1857 at Trumbull Co., OH. Adaline A. Beach died after 7 October 1916 at Warren, Trumbull Co., OH; date of her last request for an increase in her widow's pension. Clara Lillius Rice was born on 14 June 1858. She was the daughter of Ralsa Clark Rice and Adaline A. Beach. Carlton Delmore Rice was born on 18 January 1861. He was the son of Ralsa Clark Rice and Adaline A. Beach. Roswell Post Hayes was the son of Joel Hayes Jr. and Mary Bliss. Newton Hayes was the son of Joel Hayes and Rebecca Post. Oliver Bliss Hayes was born in 1783. He was the son of Joel Hayes Jr. and Mary Bliss. Oliver Bliss Hayes married Sarah Clements Hightower in 1811. Oliver Bliss Hayes died in 1858. Sarah Clements Hightower was born in 1796. She married Oliver Bliss Hayes, son of Joel Hayes Jr. and Mary Bliss, in 1811. Sarah Clements Hightower died in 1871. Rufus Hayes was the son of Joel Hayes and Rebecca Post. Rolla A. Holcombe was born in 1859. He was the son of Hiram D. Holcombe and Mary M. Gridley. Rolla A. Holcombe died on 23 November 1868. [S161] Carol A. Laun, Granby Center Cemetery, Page 33/Item A-325. Cora Belle Rippey married Daniel Irving Holcombe, son of Webster Holcombe and Harriet A. Ducker, on 15 February 1894. Jared Dudley was born on 17 November 1727 at Guilford, New Haven Co., CT. He was the son of William Dudley and Ruth Strong. Jared Dudley married Mary Chittenden on 25 December 1754. Jared Dudley died on 14 June 1811 at Guilford, New Haven Co., CT, at age 83. [S195] Albert Crossland Dudley, "unknown short article title." Mary Chittenden was born on 26 June 1730. She married Jared Dudley, son of William Dudley and Ruth Strong, on 25 December 1754. Mary Chittenden died on 18 November 1821 at age 91. [S101] Ruth Cost Duncan, John Case, Page 90/Item 206. Sarah Hoskins was born circa 1787 at Simsbury, Hartford Co., CT. She was the daughter of Ashbel Hoskins and Sarah Marvin. Sarah Hoskins married Abel Case, son of Abel Case and Anna Tuller. Sarah Hoskins died on 9 November 1818 at Simsbury, Hartford Co., CT.
Abel Dwight Case was born on 11 January 1809 at Simsbury, Hartford Co., CT.1 He was the son of Abel Case and Sarah Hoskins. Reuben Barber was born in 1773. He was the son of Reuben Barber and Elizabeth Case. [S169] M.D. Donald S. Barber, Thomas Barber 1st Ed, Page 168/Item 200. Mary Barber was born in 1776. She was the daughter of Reuben Barber and Elizabeth Case. Mary Barber married Jonathan Noble, son of Elijah Noble and Maria Humphrey, in 1798 at West Simsbury (now Canton), Hartford Co., CT. Mary Barber died circa 1804 at Simsbury, Hartford Co., CT.
[S169] M.D. Donald S. Barber, Thomas Barber 1st Ed, Page 81. Samuel Stanton Earhart was born on 28 March 1871 at Atchison, Atchison Co., KS. 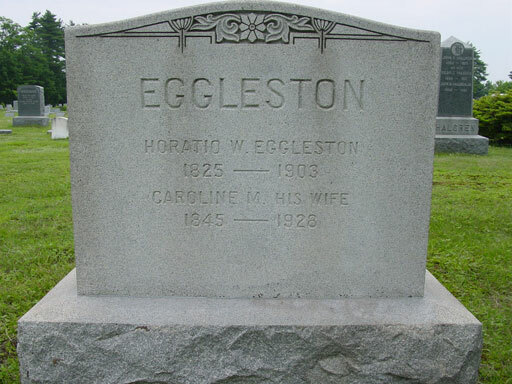 He married Amelia Otis, daughter of Alfred Gideon Otis and Amelia Josephine Harres, on 16 October 1895 at Trinity Episcoal Church, Atchison, Atchison Co., KS. Samuel Stanton Earhart died on 23 September 1930 at Los Angeles, Los Angeles Co., CA, at age 59. [S325] Lucius M. Boltwood, Thomas Noble, Page 256. Emily Humphrey was born on 5 October 1806. She was the daughter of Richard Humphrey and Mary Jane Cleveland.1 Emily Humphrey married Lester Noble, son of Jonathan Noble and Mary Barber, on 20 October 1828.